Two months pass, and Christine is happily pregnant. But one day, she is shocked to see a young blond man on the TV being arrested for a series of brutal murders—and the blond man bears an undeniable and uncanny resemblance to her donor. 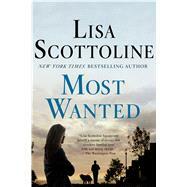 LISA SCOTTOLINE is a New York Times bestselling and Edgar Award-winning author of twenty-five novels. She has 30 million copies of her books in print in the U.S., and she has been published in thirty-five countries. She has served as the president of Mystery Writers of America. She writes a column with her daughter, Francesca Serritella, for The Philadelphia Inquirer, and those stories have been adapted into a series of memoirs. She lives in the Philadelphia area with an array of pets.